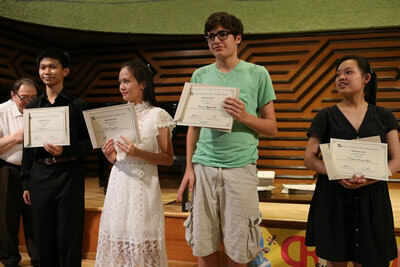 The Competition is open only to violinists, violists, and cellists participating in the 2019 Cremona International Music Academy. While students of the Academy are eligible and welcome to enter the Competition, participation in the Competition is not mandatory. The material must be received no later than April 15, 2019. Preliminary Round: Electronic Recording of approx. 10 minutes long (CD/DVD recordings are not accepted). Selected candidates will advance to Final Round. Preliminary Round: Electronic Recording of approx. 15 minutes long (CD/DVD recordings are not accepted). Selected candidates will advance to Rounds Two and Three. Proposed repertoire for all rounds must be approved by the Competition committee. Candidates in Intermediate and Senior Categories are expected to present during both Rounds Two and Three, once they have advanced from the Preliminary Round. Works from Round Two may not be repeated in Round Three. All works, except for sonatas, must be performed from memory. Candidates who have won first prize in previous competitions may NOT compete again in the same age category. 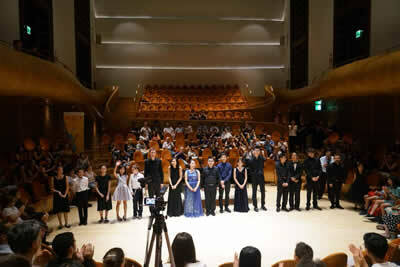 All rounds of the Competition will be adjudicated by a panel of jury. The jury has the right to award shared prizes. The decision of the jury is final and will not be reviewed. All rounds of the Competition, except for the Preliminary Round, are open to the public. The Academy reserves the right to cancel the Competition for a category where less than five candidates are selected to advance from the Preliminary Round. Preliminary Round: Electronic recording (CD/DVD recordings are not accepted) presenting selected contrasting works of the candidate’s choice. The recording must not exceed 10 minutes in length. One etude or caprice of the candidate’s choice. A work or group of works of the candidate’s choice. One of the works performed in Round Two should be a work written by an Italian composer. Sonatas may be performed with or without repeats, at candidate’s discretion. Concertos may NOT be included in the program. Preliminary Round: Electronic recording (CD/DVD recordings are not accepted) presenting selected contrasting works of the candidate’s choice. The recording must not exceed 15 minutes in length. A work written by an Italian composer. A work or a group of works of the candidate’s choice, including a virtuoso piece. Preliminary Round: Electronic recording (CD/DVD recordings are not accepted) presenting selected contrasting works of the candidate’s choice. The recording must not exceed 20 minutes in length. The competition jury consists of renowned international artists and pedagogues. The names of the jury members will be announced upon the candidate’s arrival to Cremona. 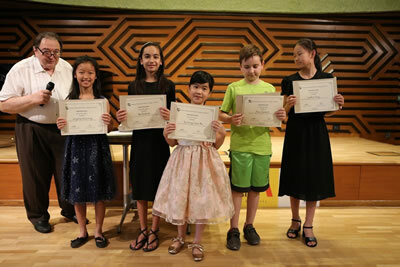 1st prize – $300, performance at the Winners Concert in Cremona and Solo Recital in Cremona. First Prize Winners of 2019 Competition for Strings will be offered a solo performance with Cremona Festival Orchestra during the Academy 2020.